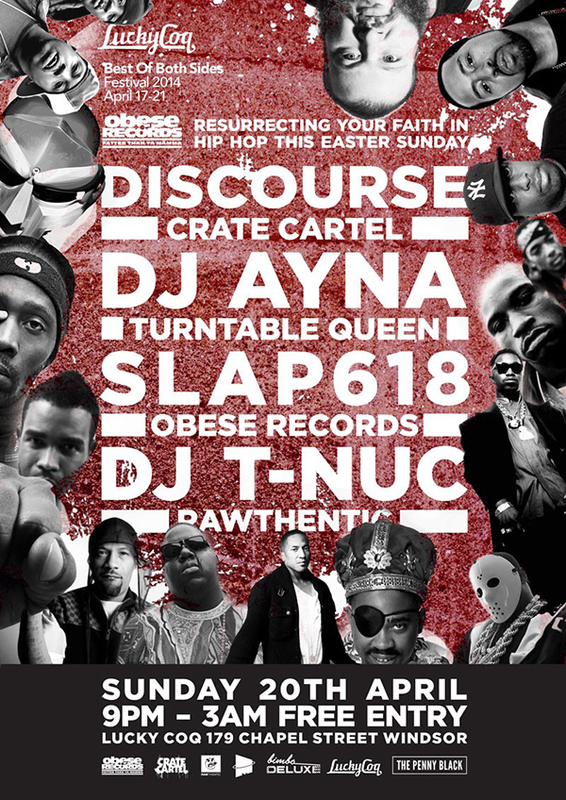 The crew at Obese Records are set to resurrect your faith in hip hop this Easter Sunday blessing the dance floor with old school classics, dance floor rump shakers and underground head bangers. Taking you to church is Melbourne’s turntable Queen – DJ Ayna, Discourse (Crate Cartel), Slap618 (Obese Records) and T-Nuc (Rawthentic Records) with Carl Allison on the visuals/VJ tip. Be born again with the testament of real hip hop this Easter Sunday. Give-aways from Obese Records throughout the night.